Vodafone has pulled off a shady trick to penalize a woman for not paying her bills by suspending her husband’s mobile number as well as her own. Sounds pretty straight-forward, albeit a bit cruel, right? Well, it is not just what Vodafone did that is surprising, it is actually how Vodafone accomplished its goal that will blow your mind. As the story goes, the telecom operator zeroed down on the victim’s husband in her absence by using his Aadhaar number which was mentioned in a Facebook post. The unfortunate Vodafone subscriber, Gayathri Ganesh, was in the United States for a period of around two months. When she returned back, her billing plan was suspended and her number was deactivated for failure to pay the bills. In the meanwhile, Vodafone also proceeded to suspend the mobile number of her husband by means which can only be called shady, to say the least. 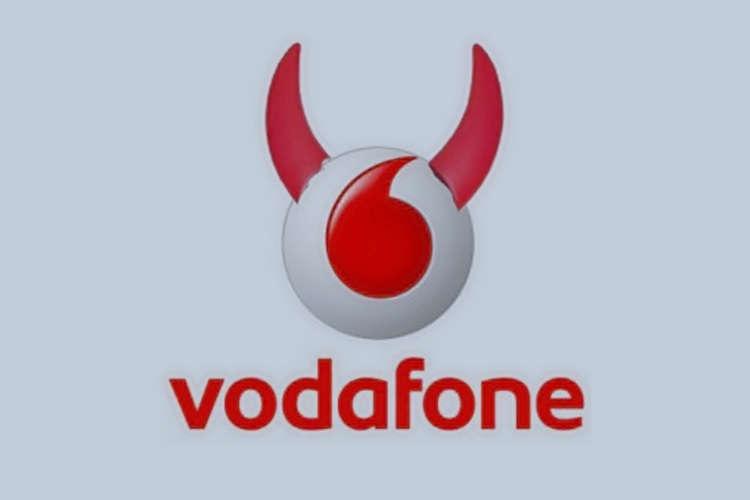 When the victim’s husband contacted Vodafone’s authorities asking them the reason behind his number’s deactivation, they told him that he had agreed to Vodafone suspending his number if his wife’s bills were not paid. (FYI: The agreement is valid only if a couple’s mobile numbers are connected). In this case, the couple’s mobile numbers were not connected and both of them paid their bills with separate corporate accounts. Following is the chain of tweets Gayathri sent to recount Vodafone’s deplorable act. So this entire episode with Vodafone. Tweeting the entire story. 1. I left to the USA in November and I had my bill cycle much later. Husband had forgotten to pay the bill. Mine was a basic 199 plan btw. 2. When I came back, my plan was suspended and I deactivated. 3. Meanwhile, my husband…who had already made a payment…for his corporate account. His number gets suspended. 4. He goes to the mandaveli store in Chennai to pay the bill. His account remains deactivated. He pays my bill. 849inr I think. He calls the customer care. Twice. Second time, he gets an answer from the cc executive. Since I did not pay my bill, his number was deactivated. We both have seperate corporate accounts. He got his number in 2009. We shifted home in 2014. I got mine in 2015. The customer care executive tells him, he has signed an agreement which gives them the right to suspend his account if his wife doesn't pay. And our accounts aren't even linked. The phone numbers of me and my husband were got in different years in different address. We weren't even married when my husband got his number. And the address he gave was different. How do we explain that. As if Vodafone India’s callous act was not effective enough, they responded with automated tweets to the victim’s messages, but didn’t give a valid explanation for the action. The whole incident is not just an example of a brand’s shrewd behavior, it also shines some light on the exploitation of Aadhaar to commit such an act in the first place (Cue: Airtel’s Payments Bank’s Aadhaar controversy), as well as the lack of proper telecom regulatory laws that can shield customers from such wrongdoings.